As we all know a healthy diet is important for all horses and ponies if in work or otherwise, we are often trying our horses and ponies on different feed types to see what works best for them. 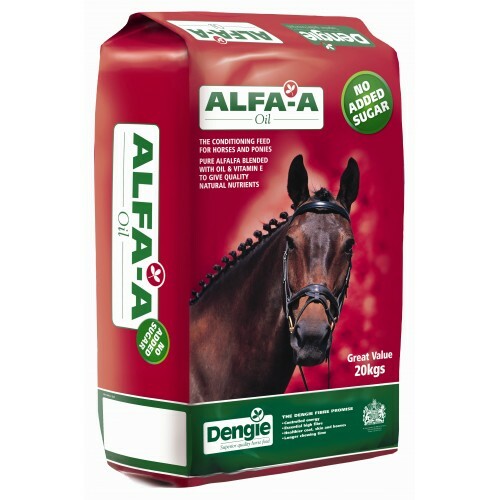 This is the newest addition to our feeds, Alfa-A Oil, it has replaced the HoneyChop during the winter months due to the fact that it is more suited to weight gain and maintaining weight, but still has the benefits of encouraging them to chew a bit more and generally slow down the rate that they consume their feeds. 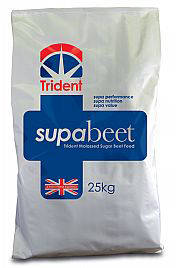 During winter the water can become very cold and even freeze this can easily put some horses and ponies off drinking as much as they should, to help keep all our equines well hydrated we feed Trident SupaBeet. The beet comes in dried pellets and requires soaking before they can be safely fed. Trident SupaBeet has molasses so can have heating effects on some equines. We also feed Dodson & Horrell Barley Rings to help with overall conditioning, the barley rings provide a wealth of vitamins to the horses and ponies such as vitamin A, vitamin D, and vitamin E. Also being a heavily oil based feed they help deliver that extra shine. 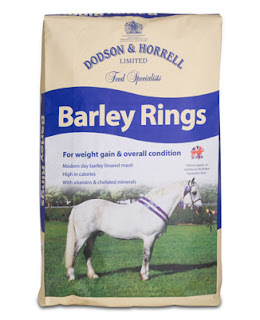 Dodson & Horrell Barley Rings can be fed soaked, dry or made into a mash by adding warm water (not hot). We also use Dodson & Horrell Pasture Cubes which are full of vitamins and minerals, quality protein and antioxidants, helping to keep our horses and ponies active. The pasture cubes also contain garlic and mint to make them more pleasant for horse or pony. 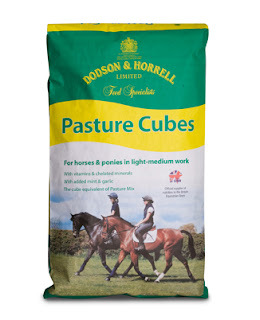 Dodson & Horrell Pasture Cubes are a flexible feed that are suited to Pony Club ponies through to Event Horses. After all these feeds have been added together in the appropriate amounts for the horse or pony we add Apples and Carrots. Wow Edward, you really take great care of your horses. I had Rosie on a product called Trifecta, which had hyaluronic acid in it that helped her a lot in her senior years. I've been excited to let you know that I will be working at a ranch that uses horses to help troubled youth. I can't believe I will be working with horses again and helping others in the meantime. Perhaps I will even get to ride a bit myself. Also, there is a chance I will be able to help develop a program for cancer patients as well. I am really happy about all this. Hopefully I will have pictures to share on my blog later. My horses get Sugar-Beet (which is pretty much the same thing as SupaBeet) and a Cool Feed mix and as much grass and they as they need. Miranda, we feed haylage here which sadly doesn’t come in flakes like hay, the haylage we get is in large slices that wouldn’t be suitable to be feed in one go, but we too feed forage at similar times to you. Margaret, I’ll look forward to reading about it. I think it’ll be very good for you as a horse owner to learn about feeding and what your horses needs. Michelle, this is all great news it’s going to be absolutely brilliant for you to be working with horses again I am sure. And you’re maybe going to be helping a program for cancer patients too, well heck you are on roll good for you. Ruffles, sadly good grazing is something we lack, having plenty of grazing can reduce the amount that needs to be fed no end, I am sure the mix and beet serve your horses well. Your equines get very well looked after (but I knew that anyway!) and you have them on a great mix of feeds. Due to the mild winter, Spotty has not lost much weight so he is still on a diet! I want to be one of your horses...what a great line up of food and nutrition, it is no wonder that they look so good and are so very sassy at times..haha! Good job! Thanks for your kind comments you two. I love when people take interest in their horses health and research feed because you are so right, it is so important!! Keep up the fantastic work! Getting the food balance right is difficult but so important - yours seem to be eating very well! It's curious but in Spain the soaked beet is used in summer to make sure the horses don't dehydrate with the heat! Oh man Edward...so sorry for the long worded comment about feed, on your latest post...you have it covered here. and I see that all angles are taken a look at!! Good for you!! Niko may just need some more calories through oats.